Last week Gabe was at camp, so I took Annika camping for one night. With the weather taking a turn, I chose the sunny Teanaway for our excursion. We set up at Beverly Campground. This Forest Service campground has less than 20 spots, and felt kind of scruffy, but we got an awesome spot right on the river. We relaxed the afternoon away. Annika played in the water and the dirt, as usual. 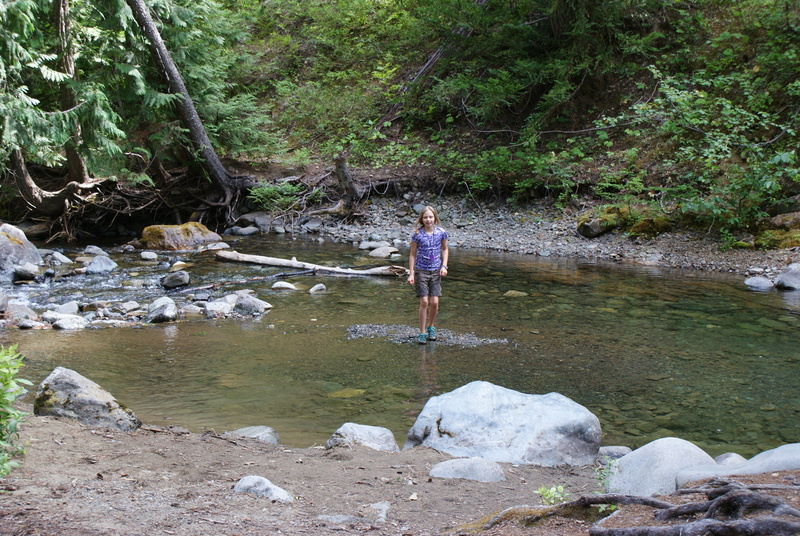 The river is nice and low, and safe to play in at that point. Because of the heat, there’s also plenty of dust to drive little cars in. The temperatures were warm, not too hot, and there were no flies or mosquitoes. The only annoying thing was yellow jackets when we were eating. We enjoyed watching a family of Harlequin Ducks swim up the stream. Dippers and other little birds came out of the bushes and found food around the stream. Chipmunks and squirrels skittered among logs and rocks. That evening, large bats flitted around right above our heads. We slept all right, but did have to make a potty run in the middle of the night, and the stars were amazing. The morning dawned warm again, and we took our sweet time packing up to leave after lunch time. We drove farther out the road to scout out the other campgrounds; I think we lucked out and got the best spot of all of them. It was a relaxing trip overall, and fun to have time with just us girls. 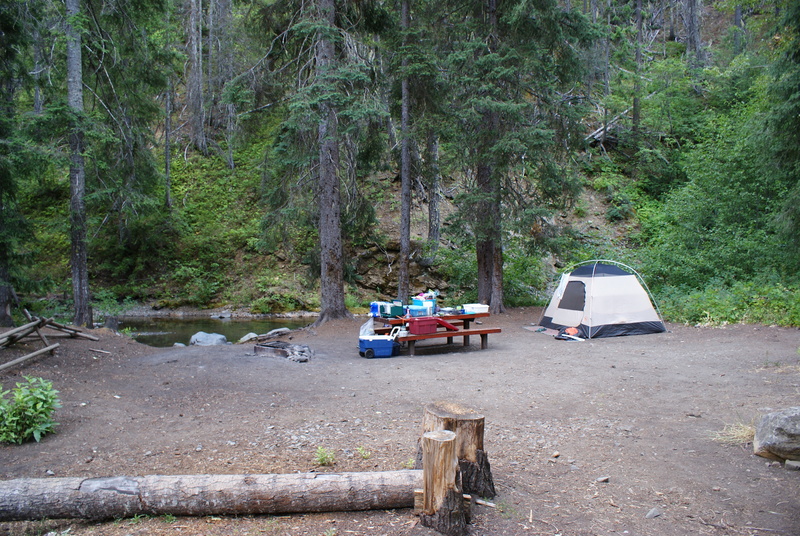 If You Go: Beverly Campground is located on the North Fork Teanaway River, northeast of Cle Elum. Go to the Forest Service website for complete driving directions. The cost for a spot is $8 per night. There are vault toilets but no water; bring your own or use river water and treat it. 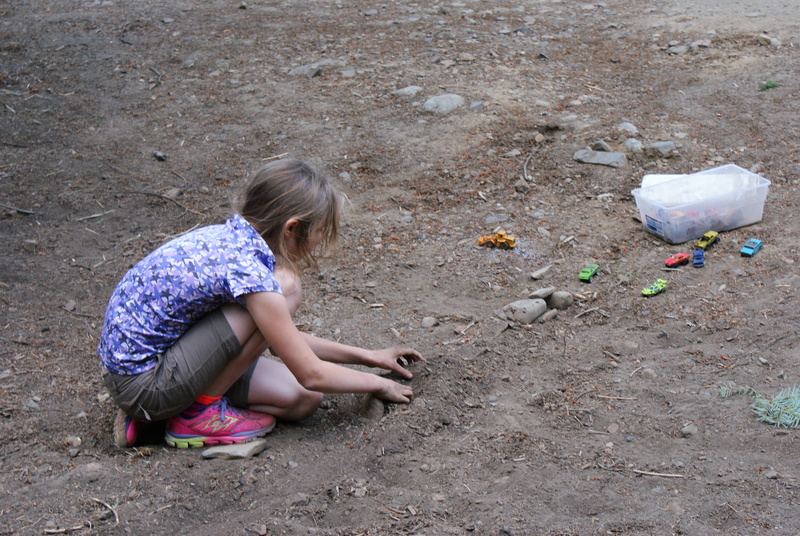 Picnic tables and fire pits are at each campsite (fires are prohibited this summer in the entire forest, even at campgrounds).